After designing the "Shift" cowl, Andrea Mowry continued the vibe with this lovely, larger shawl version! 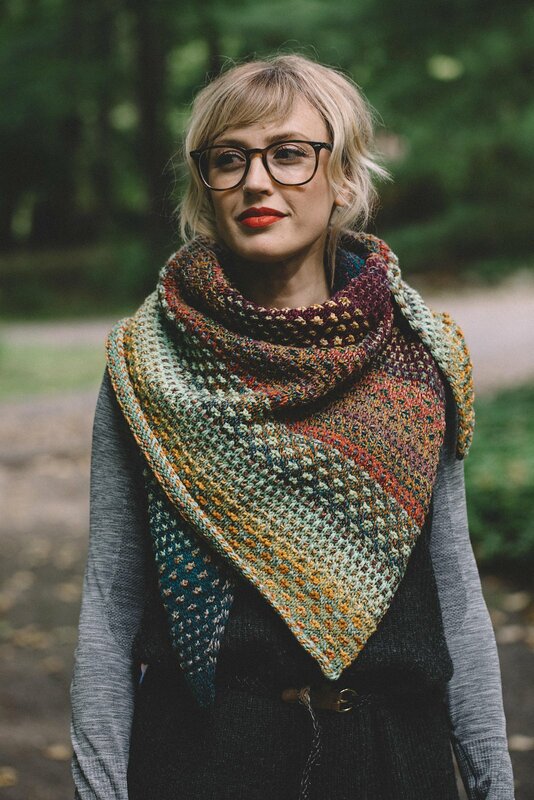 This super fun shawl has an even larger canvas for color play! This pattern includes a recipe, to make it all your own, or row by row directions for those who want to play it safe!